Maximize Molding Profits with TiN & TiCN Coating! Are glass-filled plastics wearing out your mold components too fast? 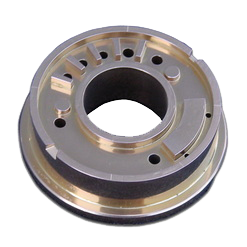 A PVD coating will reduce wear on expensive tooling, keeping tooling up and running, making parts. 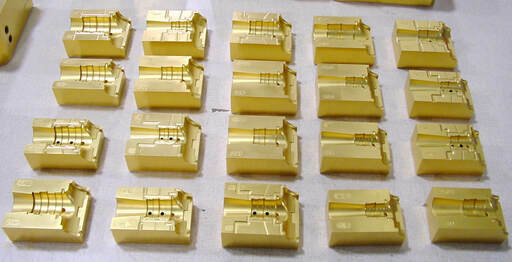 If you are looking to protect your injection mold tooling investment, PVD coating the high-wear components of the mold set is a great way to go. Coating your ejector pins, lifts, cavities and other mold components with titanium nitride (TiN) and titanium carbo-nitride (TiCN) will increase tool life, reduce down-time, eliminate galling and result in more profits for your company. TiN and TiCN are vacuum-deposited coatings that are very thin (.0001” – .0002”), very hard (>80 Rc) and wear resistant. Because they are very thin, they have minimal effect on tool tolerances, but a huge effect on your bottom line. 5 – 10 x longer life over uncoated mold components. Improved release of plastic parts, along with shorter cycle times. Less mold erosion when shooting glass-filled plastics. Less corrosion when molding gas-forming plastics. Easier mold clean-up, less plasticizer build-up. Can be refurbished numerous times so they can last forever. ​More up-time and higher quality parts, all resulting in more profits. Up to $100, or more, in benefits for every $1 spent on coatings. TiN and TiCN can be chemically stripped from common mold tool steels without affecting the base material and surface finish. 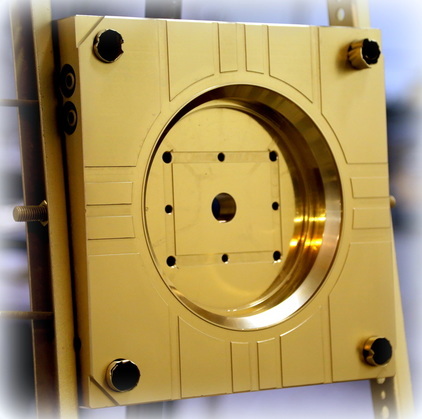 We have many customers using “Stripping and Recoating” to greatly prolong the life of their mold components. ​Mold components can essentially last “forever” if stripped and recoated before damage has been done to the base material. In abrasive applications, TiCN will usually last 2 – 4x longer than TiN due to it being much harder than TiN. Protect Your Injection Molding Investment with TiN and TiCN Coatings!